Walking in the New Forest is a wonderful way to clear the head and leave stress behind. The landscapes (and seascapes) are many and varied, as are the species of wildlife, flora and fauna. The real magic of the New Forest can only truly be experienced on foot. From ancient woodlands to rugged moorland, the Forest offers a diversity of flora and fauna which is a joy to explore. 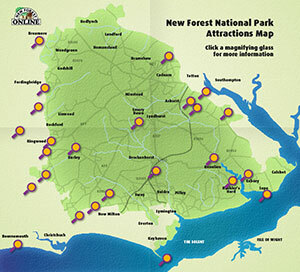 The New Forest has established itself over hundreds of years and has developed into a haven for nature and wildlife. A walk in the New Forest will leave you refreshed. Depending on the part of the Forest that you decide to visit (and the time of year), you may see carpets of bluebells, pink seas of heather, or bright yellow bursts of gorse flowers. 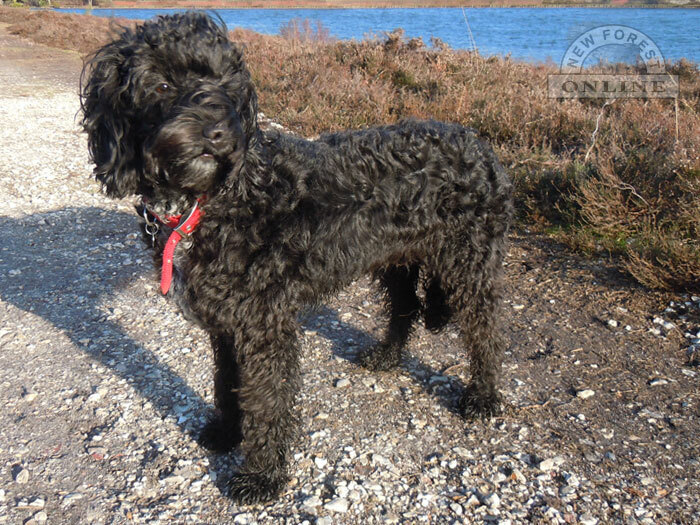 Deer, birds of prey, ponies, donkeys, and rabbits are among some of the animals that you are likely to encounter, but you may also be treated to a glance of the Dartford warbler or the rare sand lizard. An extensive network of footpaths and bridleways runs throughout the Forest. You can explore these paths at your leisure and may walk on any footpath or track unless it says otherwise. By keeping to the paths, you greatly reduce the risk of disturbance to wildlife and their habitats. The coastal paths, some of which pass through special conservation areas, also offer rare scenes of beauty. There are spectacular views across the Solent to the Isle of Wight. 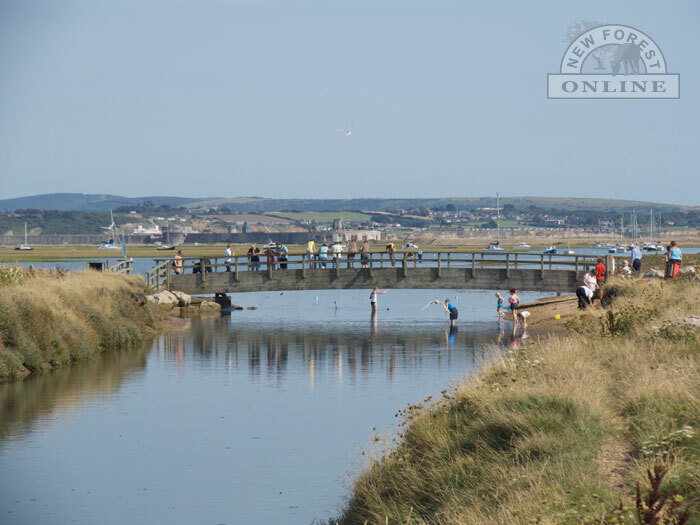 And birdwatchers can explore the areas of marshland near the coast where they can see many different species of birds including warblers and curlews, terns and herons, oyster catchers and wigeon. Begin the walk at the Bolderwood Green car park on the Ornamental Drive, west of Lyndhurst. Cross the road to the deer observation platform to see the deer. Return to the road and go left (north) for a short distance until you reach a grass ride on the left. Follow this for several hundred metres through clusters of holly trees until you reach the main gravel road. Continue down the gravel road to your left for about 400 metres, entering the Bolderwood deer grounds. You will eventually enter the conifer plantation. Continue along the ride to the left and at the second junction branch off to the left. 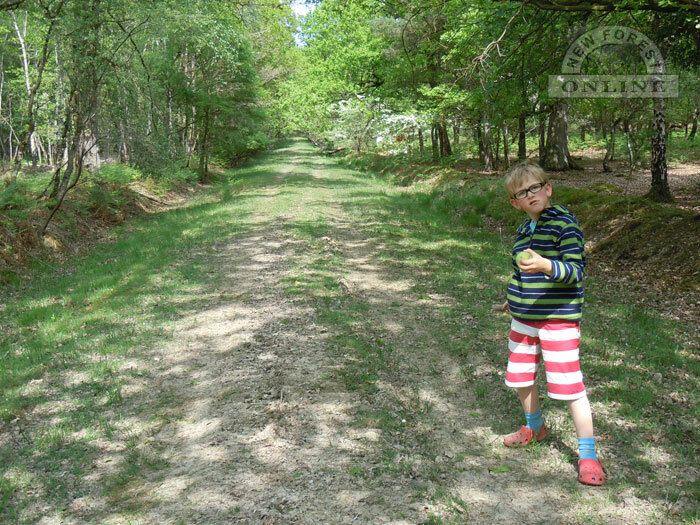 This gravel track takes you through the Bolderwood Arboretum. Take a track to the right of the pond to pass the Radnor Stone - part way up the hill among the trees. From the stone a short walk to the top of the hill takes you back to your starting point. Start at the Wilverley Plain car park near Wootton. Leave the car park by the wooden gate at the start of the 'Wilverley Wander'. Bear right at the first junction marked 'Scouts' and continue to follow the yellow and green posts. In the heart of the Inclosure the path drops left to a crossroads. Continue straight on following the posts; the track bears to the right and then climbs up to a level section. When you reach another Scouts sign pointing straight ahead, take a sharp left then the track gradually bears downhill and turns sharp left by a bench. Take the right fork off the gravel track onto a forest path. 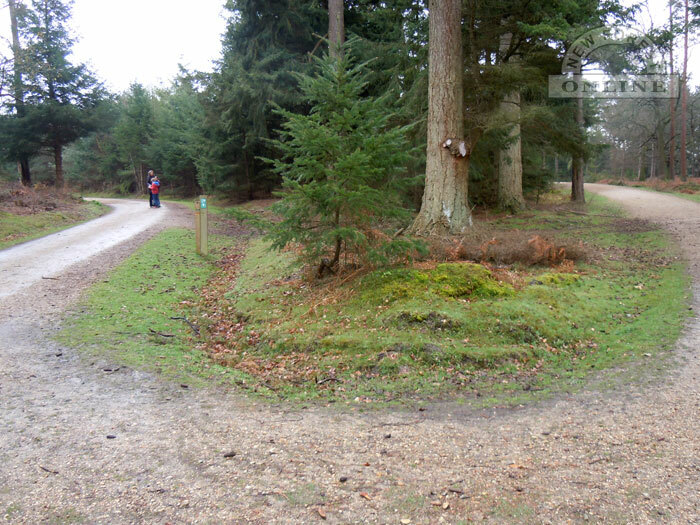 Continue over the 'crossroads' and follow the path uphill through a conifer plantation. Keep left at the fork at the brow of the hill and go through a belt of oak and holly before leaving the plantation through a wooden gate. Turn left and follow the track for 500 yards before turning off down a gravel path on your right. Go under the old railway bridge. Ford the Avon Water and continue through a wooden gate into the Brownhill enclosure, where a rough path will take you through to a gravel track. Turn left and follow this route down to Wootton Coppice Enclosure. Leave here via the wooden gate, turn left onto the road and cross Wootton Bridge; from the bridge follow the rough path up on the right hand side towards until it meets with the road just east of the junction. Cross over the road and follow the sandy path running parallel with the road; this will take you back to the car park. Hampshire County Council has produced a guide to the New Forest for the less mobile.